The Eisteddfod in Llangollen on Thursday 11th July was a truly beautiful location. I had an 8am rehearsal with the festival pianist so I was up very early. Unfortunately the Accompanist who had practiced everyone’s pieces was taken poorly the evening before so Emily, who was amazing, was drafted in at short notice and had to sight read for about 22 of the 27 competitors, around three songs each. Our programmes were to last eight minutes so she accomplished quite a feat. The competition in the English Methodist Church began at 10am and ran until 2:40pm. I was on around noon. I was actually very nervous in the morning, it was my first time at this event and it is a very popular competition. I was in the adult category and didn’t really know how formal or informal it was. I’d learned an introduction within the eight minutes allowed for my songs as it allows you to check out the sound in the room before you start to sing and relax, plus it helps setting the scene for the audience especially if you are singing in a foreign language and I was singing O Mio Babbino Caro, Widmung and Do Not Go My Love. that the audience understood the song even if it wasn’t familiar to them. It worked because in the break I won lots of compliments from the audience, my Nana was telling everyone my blog address, so any new readers hello and welcome. I didn’t make the top three sadly but there’s always next year and the two adjudicators said I had a bright and promising future ahead of me and not to be too disheartened, one said he could see my soul when I sang which was a lovely compliment and they agreed to a photo for my blog it’s a bit blurry as Nan’s not used to taking photos with a mobile phone. Yesterday it was so beautiful at home my parents suggested we go to Delamere Forest to take some photographs, my Dads renewing his interest in photography and is talking about wanting light reflectors and all sorts, I’ll post some photo’s this week to see what you think. It sounded like you did a great job!!! Warmest wishes and thanks for your continued support. Looks like a lovely location! Sorry you didn’t make the top three but like you said, there is next year! I would love to hear you sing but Australia is a little far 🙂 Do you have any recordings that I can access online? Great to read about your dad’s renewed interest in photography (as tat is my primary interest), please get him to start a blog too, I’d like to see more from that part of the world! 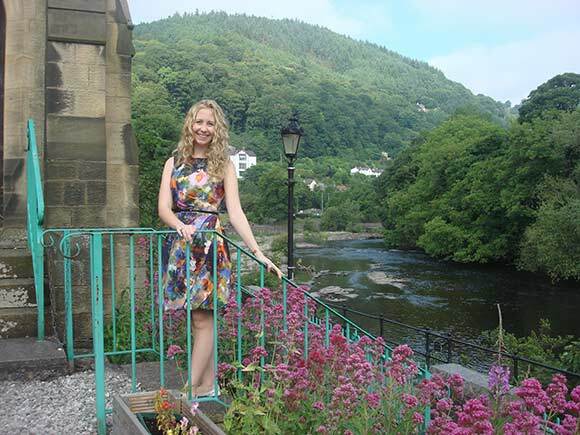 Llangollen is fabulous – my mother once sang there and it really is a special thing to do. Well done indeed. I am glad that you could drop by for a visit. I love the variety of content on your blog and the sentiment of “HOPE” on your title page. Well done you. The only way is up! Thank you and I hope that you can call back again soon. Great performance and lovely photo! Hi Rhys, did you by any chance get to see any of the performances this year at the Eisteddfod? Warmest wishes and I hope that you can call back again soon. Hi Charlotte, I’m sorry to say that I have never been to an Eisteddford. I am sure I would have enjoyed your performance! Thanks for your continued support. Thank you for stopping by and following my blog. You have a beautiful voice and that first picture is gorgeous! Well done and it is all for experience. Every bit counts. That is so true 🙂 I love to perform and also to compete. Competition provides me with the opportunity to get the feedback which helps me to improve my technique. Beautiful photo of you! I just participated in an online “pitch party” for writers like me. I was disappointed by the results but worked so hard to participate so congrats on having courage to try! Thanks for the follow. I’m sorry you didn’t get further in the competition but the consolation is that being able to perform music is its own reward. The bit about your nana was cute. 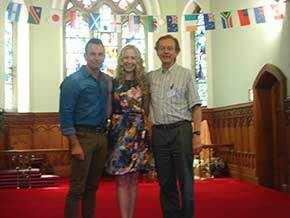 I love to sing and to perform and this was a fantastic opportunity to do both 🙂 I loved the atmosphere and the warmth of the audience. I liked how nice and inspired you looked on the photo. Competitions are only to test yourself, and they usually do not reflect the real situation. Plus, things like arts, writing, singing, dancing can be compared very approximately. Hi Inese, thanks for stopping by and for leaving such a nice comment. Best wishes and I hope that you can call back again soon. Hi Barbara, I enjoy the performance and get so much from each new experience. The adjudicators provide great feed back and it is so helpful to get a different perspective. Best wishes and I hope that you can visit again soon. I love your dress too! 🙂 I’m also a soprano, though I just sing in a choir, but I’ve been delighted also to read the research about stress relief and stuff. I know choir practice always makes me chill out and I seem to get more stressed if I drop choir! Thanks for calling by my blog. Many thanks for visiting our blog and liking my daughter’s photographs — she also sings in a children’s chorus, and they went to their first competition this spring. Arts funding for public education is SO IMPORTANT – loved your post about that as well. 😉 All best for a magnificent summer. Singing remains my main hobby, but only a close first to writing and reading, raising horses, and xeroscape gardening. Thank you for following my blog. Hope my posts continue to please you!! Hi Juliana, I really enjoyed looking the photos of your family road trip they were lovely 🙂 You definitely have a busy life. That is such a lovely dress you are wearing! Thank you it’s very bright and colourful and most important comfortable to wear. Charlotte Hoather Blog by Charlotte Hoather is licensed under a Creative Commons Attribution-NonCommercial-NoDerivs 3.0 Unported License.